First off, let me apologise for being missing for the past week-and-a-half. I was at Tokyo and Chiba for a week for the Modern Masters 2015 weekend and I had something urgent to sort out when I got back home. Now that the dusts have settled, it’s time for a Grand Prix report. My fellow MTGPrice writers have covered Grand Prix Vegas in depth over the past week: Travis Allen, Jason Alt, Corbin Hosler and Douglas Johnson regaled us with their stories of their time in Vegas, Derek Madlem offered his perspective on the infamous #GoyfGate incident and Sigmund Ausfresser shared with us the lessons he learned at the Grand Prix. I figured I was probably the only MTGPrice writer who went to Chiba, so now is my turn to tell my story. 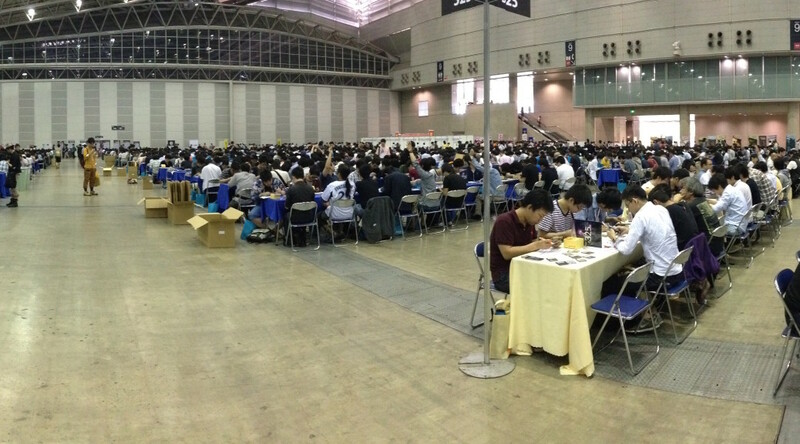 Unsurprisingly, Grand Prix Chiba turned out to be the largest Grand Prix to ever take place in this part of the world, with 4,000 players participating. It was also probably the fastest selling Grand Prix ever. Chiba hit the 4,000 players cap within 12 hours of preregistration going live. 12 hours. Preregistration opened at around 8 pm here in Malaysia, so I was lucky enough to be able to secure my spot in the event. I’ve heard about people living in different time zones waking up to a sold-out Grand Prix Chiba preregistration. A few weeks later the organisers announced another 400-ish slots being opened up from pre-registrants who did not pay. Securing a spot in the Grand Prix was only the first part of the battle. The dismal official Grand Prix playmat featuring the ‘new’ Etched Champion art was no worthy memorabilia for the Magic event of the year. Luckily, a week before the Grand Prix, the organisers revealed three special playmats for the event on top of the sweet new art Vendilion Clique playmat that the Vegas players had a chance to get their hands on. But lo behold, those special playmats were very limited in supply, with only 300 of each sold per day and they were only available on Friday and Saturday. My heart sank when I saw the line. Saturday was my last chance to not go home with a crappy playmat. I lined up nevertheless. Fortunately by the time I got to the ticket station (you line up for tickets for the special playmats, then line up to pay for and collect them at a designated playmat station before 12 pm), the Vendilion Clique and Mark Tedin’s Great Evil playmats were still available. Unfortunately, the popular playmats, the two angel-themed ones – Johannes Voss’ Sakura Angel and Peter Mohrbacher’s Kushiel x Tokyo – were long gone. I was close to the end of the line and they had some extra Vendilion Clique and Tedin playmats, so they were happy to hand me two tickets of each. I’d figure the Vendilion Clique playmat may be worth something and ¥3,500 ($28) was not too shabby a price to pay for a pretty sweet mat. I was not sure about the value of the Tedin one, but heck I woke up at an ungodly hour to get to the venue, and lined up for one whole hour, I might as well get another. 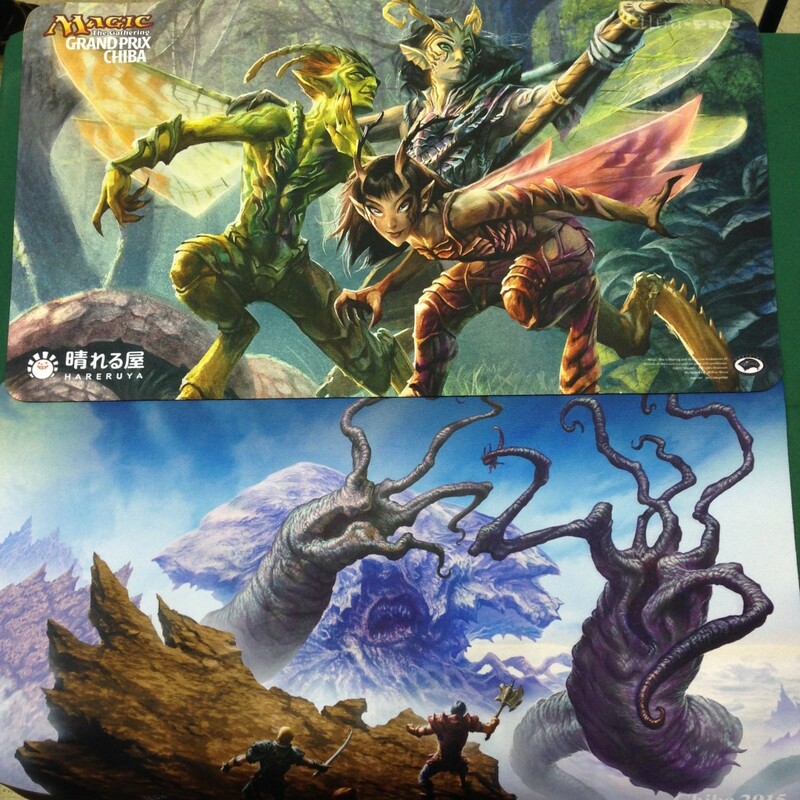 Japanese Grand Prixes have a knack for offering special playmats on top of the one given out to every participant, and some of them are worth quite a bit. The Johannes Voss Sakura Angel playmat sans the ‘Grand Prix Chiba’ stamp (the limited supply ones had a ‘Grand Prix Chiba’ stamp on the bottom right) was selling at Voss’ artist booth for ¥20,000 ($161) on Friday, and ¥15,000 ($121) on Saturday. That was way beyond my budget, so I begrudgingly passed on the chance to acquire the most sought after playmat at the Grand Prix. 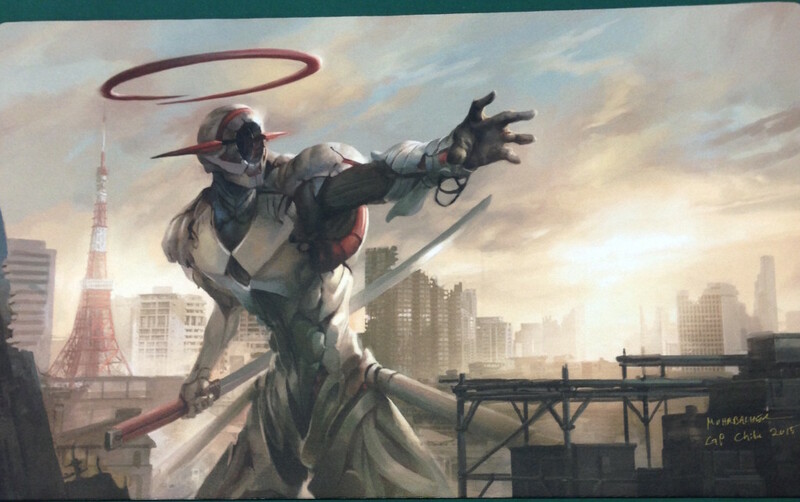 I ended up buying Peter Mohrbacher’s mecha-anime angel playmat for ¥6,000 ($48) and I had him scribble ‘Grand Prix Chiba’ on the bottom right corner where the stamp would have been. Then again the hallowed Ugin playmat awarded to the champion of Fate Reforged‘s Game Day was fetching $80 in the week following the Game Day but is now $60 – $70. 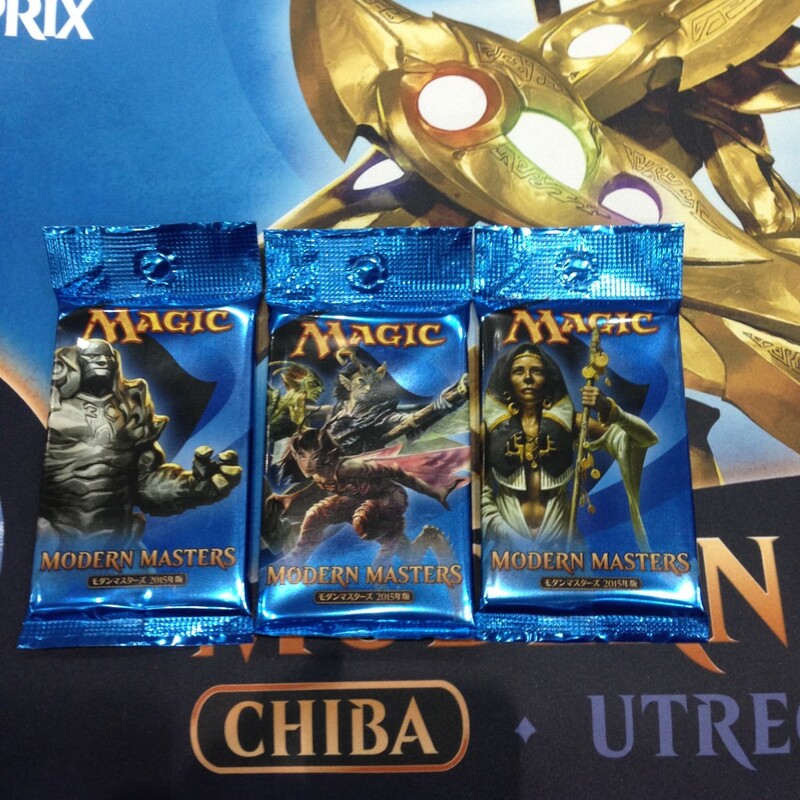 The angel playmats are in scarcer quantities compared with the Ugin playmat but on the other hand, there are likely to be more people out there who want an Ugin playmat. 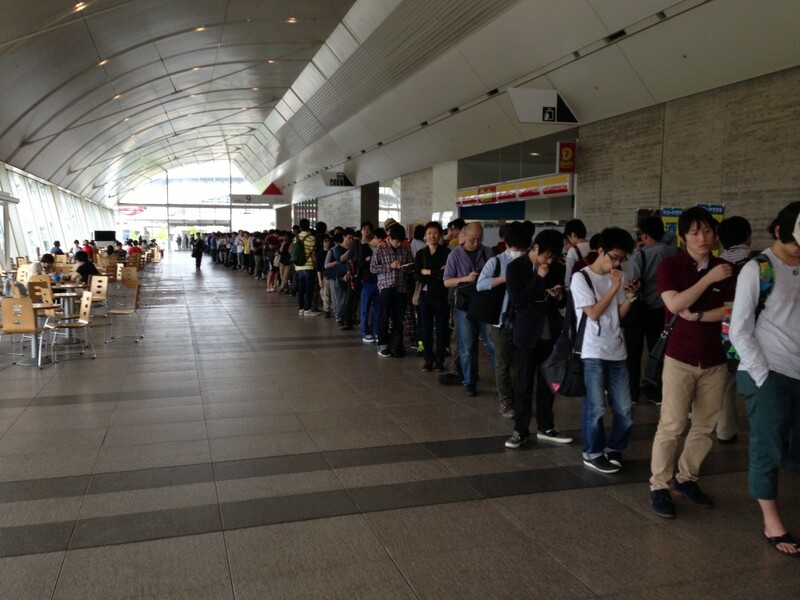 It turned out that the vendors at Japanese Grand Prixes were not able to buy cards from players at the venue. A vendor kindly explained something along the lines of their business license being restricted to the region in which their brick and mortar stores are based. Oh well. I’ve always thought that Grand Prixes were great places to move cards to vendors as they are more likely to offer competitive buylist pricing with other vendors present in the venue. Plus, it is a lot easier to compare and find the best buylist price for my cards when all the biggest vendors are within 50 metres of each other. Cash trades among players were a no-no at the Grand Prix and there were uniformed guards patrolling the tables to make sure that does not happen. As a law-abiding person in general and for the fear of being whisked away into the Japanese version of Guantanamo Bay, I dared not sell my cards to the binder traders at the trading tables. I ended up wasting half a day to make a trip to Tokyo to transmute my Modern holds into cash to use at the Grand Prix. Two of the vendors brought mobile credit card readers but somehow my credit card refused to work on those. Lesson learned. Cash is king at Grand Prixes. I know, it’s probably fundamental knowledge for most Grand Prix participants, let alone financier. I was trying to be a smarty pants by spending my yens on non-Magic collectibles during my stay at Tokyo and I expected to reload my cash at a Grand Prix by liquidating cards but it backfired on me. Next time I go to a Grand Prix I am going to stuff my binder with cold hard cash. I don’t usually join the fire-on-demand side events at the Grand Prixes I’ve attended. I tend to opt for the Super Sunday Series, or a whatever large open tournament taking place on Sunday. I missed the Super Sunday Series at Chiba as players can only register for the event on Saturday evening, during which I was in Tokyo offloading my Modern cards to refuel my yen. I couldn’t be bothered to make the hour-plus trip back to Chiba just to register for the Super Sunday Series. So I spent Sunday morning getting in trades and hunting for deals as any self-respecting financier would do at a Grand Prix, and playing in the fire-on-demand Standard events. The fire-on-demand side events turned out to boast an insane EV. They were eight-player single elimination events and the only prize was 12 packs of Japanese Modern Masters 2015 for the winner of each pod. 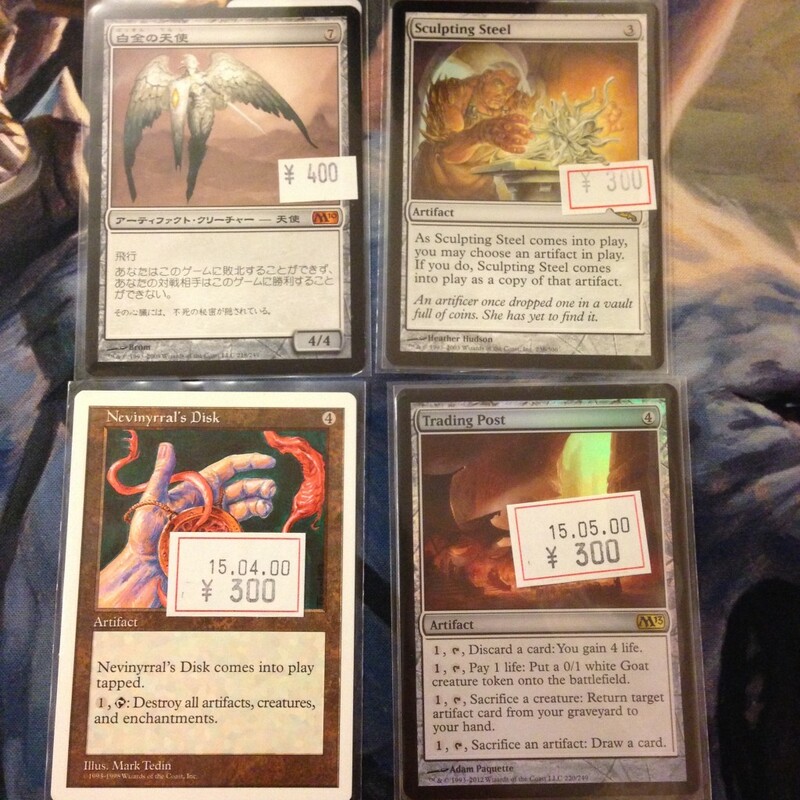 The entry fee was ¥1,500 ($12) and each pack of Japanese Modern Masters 2015 was going for ¥2,000 ($16) at the Grand Prix. I assumed that I would have to make it to the finals before being able to split with my opponent. Fine, I just need to win two matches in a row and I trusted that Michael Villavicenci‘s Mardu Dragons would get the job done. After spending the morning trading and buying cards, I signed up for my first Standard fire-on-demand queue in the afternoon. My first round opponent was running a Blue-White Control and after an intense first two games, I managed to resolve an Elspeth, Sun’s Champion and clinch the win for game three. As I was shuffling my deck in preparation for the next round, one of the remaining three players asked if I would agree to a four-way split for 12 Japanese Modern Masters 2015 packs. I said yes without hesitation and I’ve probably shook his hand harder than I should. It was basically ¥1,500, win one match and get ¥6,000 in products. That was a good enough EV to put a smile on my face for the rest of the day. I hurriedly signed up for another Standard fire-on-demand before the queues closed (I lost that one). It may be worth checking out the fire-on-demand side events at Grand Prixes in the future if you miss day two and are not planning to play in the Super Sunday Series. I used to ignore the fire-on-demand events at Grand Prixes assuming that their EV would be crap, and I shall not do so anymore. Chiba’s fire-on-demand side events (not last chance trials) may be a one-off thing as the payout in Japanese Modern Masters 2015 packs bumped up the EV exceptionally and I don’t have much experience playing in those side events, so if you have any experience regarding the EV of these events, do share them in the comments. I would certainly keep an eye out for these events the next time I attend a Grand Prix. I’ve had the opportunity to do quite a bit of trading and purchasing at Chiba, something I don’t usually get to do much at Grand Prixes as you’ll usually find me playing in big events on all three days. The following are a few trades and acquisitions worth writing about. The first trade I did at Chiba was with a reader from Toronto, Muki who recognised me from my mustache. Quite a number of traders were looking for Engineered Explosives at Chiba, probably due to the fact that it was not reprinted in Modern Masters 2015. I was bullish on the long-term prospect of Purphoros, God of the Forge in an article on the Theros gods I wrote a while back and I think that Jace, Architect of Thought has a lot of potential in Modern and $3 is probably as low as he can go. Engineered Explosives has the potential to appreciate in price this Modern season, as it is a Modern sideboard staple, but I was happy to trade off my extra copy for two long-term holds. The Outpost Siege was thrown in to even out the trade. I traded off my Geist of Saint Trafts as their growth was a little too sluggish for my liking and I was happy to cash out with the small profit I’ve made from them. Disrupting Shoal was recently featured as a playset in the deck that took down the StarCityGames Modern Premier IQ the week before Grand Prix Chiba and I figured the hype might push Disrupting Shoal’s price up a little. 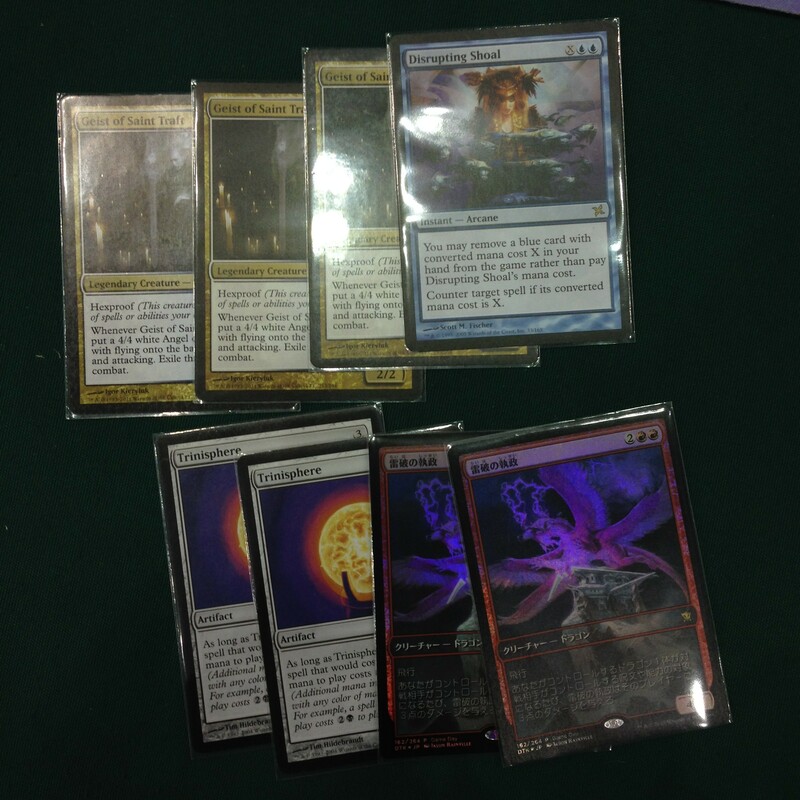 One of the reason I got into mtgfinance is to subsidise the cost of indulging in Magic. The Trinispheres were for a funky Modern MUD brew I am toying with. Legacy and Vintage MUD had always fascinated me and I am attempting to make it work in Modern. The lack of Ancient Tomb, City of Traitors and Mox Diamond makes the deck way less explosive that I’d like it to be and from testing it is probably destined to be a tier 2.5 deck. But it’s hell of a fun to play. The trader valued his Trinispheres at StarCityGames pricing at ¥800, significantly lower than the average e of ¥1,600 – ¥1,900 that vendors were selling their Trinispheres at. Certain eternal staples are valued differently in Japan. The prices for casual staples in Japan really surprised me. Platinum Angel for just ¥400? And in Japanese? I’ll take two please (the other one was already in my MUD deck when I took this picture). I initially planned to just get one Platinum Angel for my Modern MUD brew, but I remembered reading about her in Douglas Johnson’s article a while back about the persistence of her price amidst two reprints and I decided to grab an extra. I guess I’ll save myself the trouble of swapping cards between my Modern and EDH deck. The Sculpting Steel was half the price it is going for outside Japan and I could do with one in my EDH decks. There’s nothing special about the Nevinyrral’s Disk besides saving me the trouble of finding one in Malaysia where it takes an adventure to locate and buy old cards. Trading Post foils at ¥300 ($2.50) seemed like a steal given its popularity in EDH and playability in Legacy MUD. 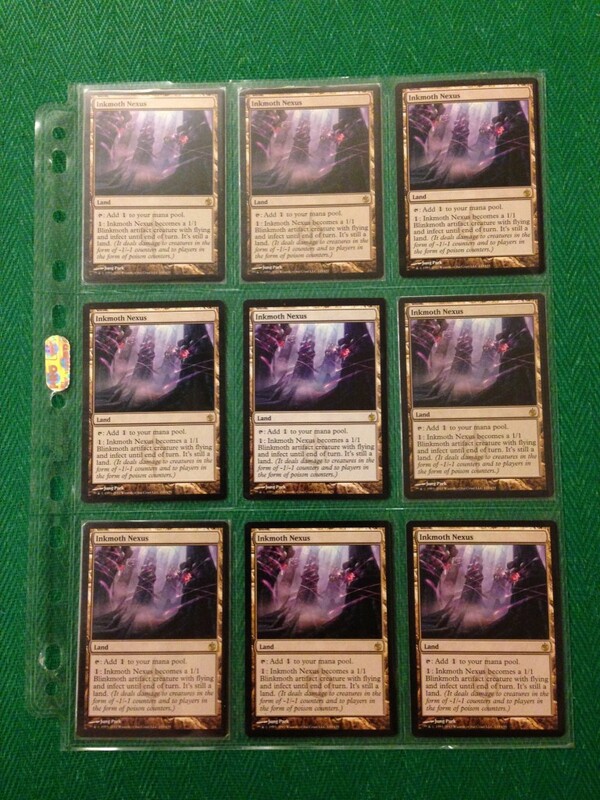 I mentioned a long time ago that I am confident that foil Trading Post is a $8 – $10 card. The biggest acquisition of the weekend and the main card I was looking to get my hands on at Chiba. Before I let for Japan, I told myself that no matter what I am going to come back with a foil Japanese Ugin, the Spirit Dragon. Since I wrote a 3,000-word piece on the future price trajectory of the dragon planeswalker, Ugin’s role in the eternal formats has all but solidified as a staple in Modern Tron and Legacy MUD and I was keen to make sure that I have a foil Japanese copy when its price is still within my budget. 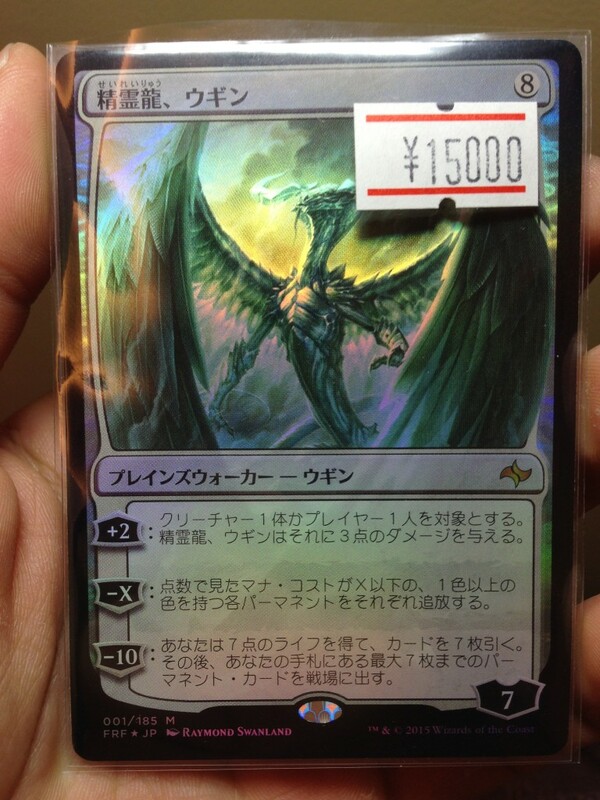 The first vendor I approached turned out to have the best price for foil Japanese Ugin, the Spirit Dragon at ¥15,000 ($122). 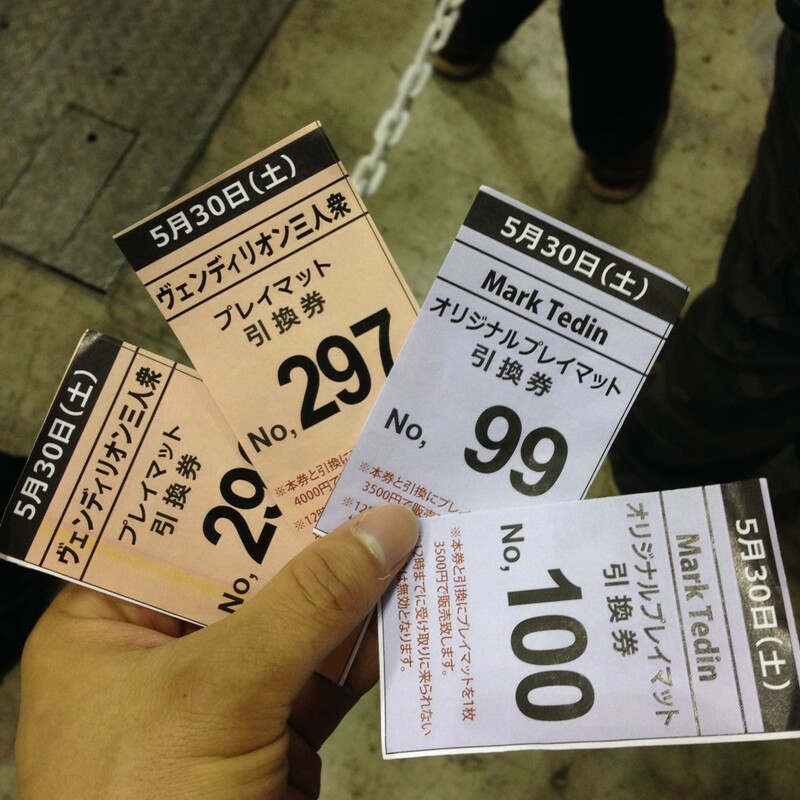 Other vendors were selling theirs for ¥19,000 ($155) to ¥20,000 ($163). 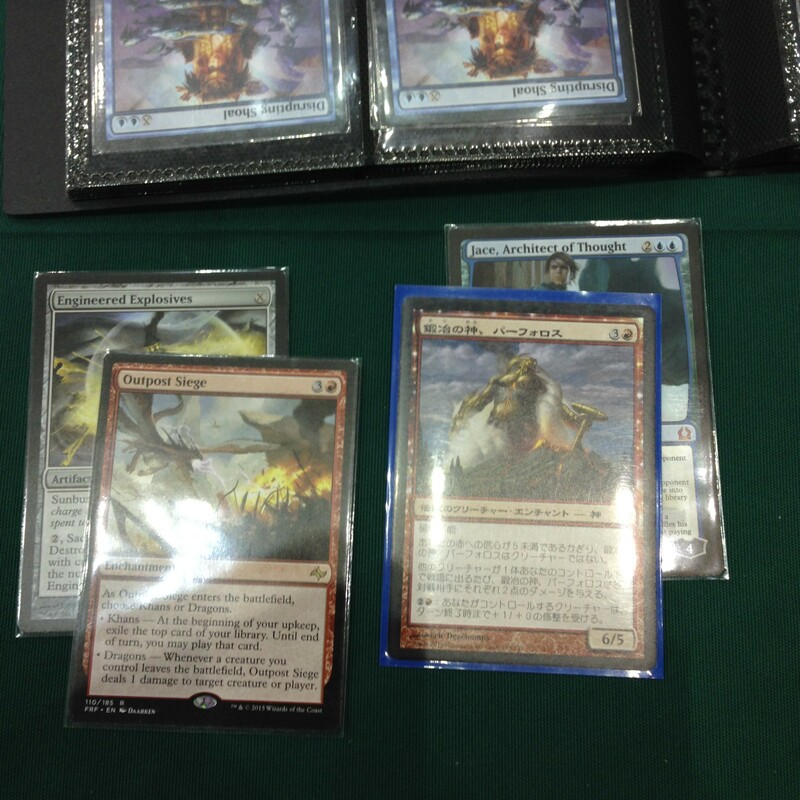 I hurried back to the first vendor to grab the Ugin, which was in pristine condition for ¥15,000 ($122). 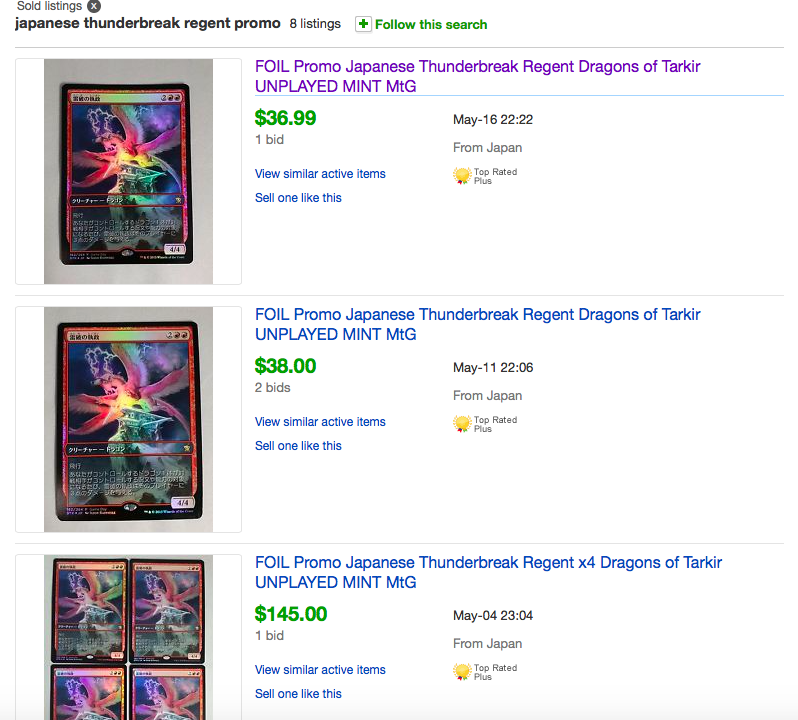 Foil Japanese Ugins were going for $137 – $174 on eBay during May and even the most expensive copy in the vicinity of the Grand Prix was just slightly above eBay’s mean. Good deals are to be had at Grand Prixes, but make sure you grab them as soon as you can, on Friday preferably if you can make it to the venue by then. I made the mistake of hesitating when I saw a foil Japanese Eye of Ugin going for a mere ¥1,200 ($10) which was cheaper than an English foil on StarCityGames and a Japanese Game Day Promo Thunderbreak Regent for ¥3,000 ($24) on Friday. When I got back on Sunday after reloading my cash in Tokyo, the cheapest Japanese Game Day Promo Thunderbreak Regent was selling for ¥3,400 ($28) and the foil Japanese Eye of Ugin bumped up to ¥2,000 ($16). All-in-all Grand Prix Chiba was a different experience from the few other Grand Prixes I’ve had the chance to attend. For one, the number of playmats I’ve acquired (6) far exceeds the number of Magic matches I’ve played at the Grand Prix (2). And Chiba was also the Grand Prix in which I did the most trading, buying and socialising. Shout-out to all the Malaysian players and judges who were playing and judging at the largest Grand Prix in Asia, shout-out to Nick, a reader whom which I’ve been corresponding with over Facebook regarding the event and finally managed to meet in person at the Grand Prix, and to Muki: there’s no better way to conclude a Japanese Grand Prix than chatting about Magic over Kirin and ramen. Previous PostUNLOCKED PROTRADER: Gods and Generals, Part 1Next PostGoing Mad – So You Want to Sell a Wingmate Roc? Good time to be in Japan due to the exchange rate was well. Did that make your purchases easier? That certainly made my acquisitions look like a much better deal! Then again I did acquired my yen using Malaysian ringgit, which kind of negated some of the benefits. Would really love to visit Japan one day to take part in their GP’s especially since they just had a Legacy one this year. At least now i know vendors don’t buy cards at GPs in Japan. Does it apply to all the GPs there? I believe so. Yeah, their GPs are fun to attend for the fact that you could find lots of sweet deals there. Certainly bring enough cash! First it was great to meet you at the event and to share our knowledge of this hobby/game over the weekend. Thanks for the trades and advice on obscure cards with hard to determine value. I agree that the Kirin and Ramen were a bonus! 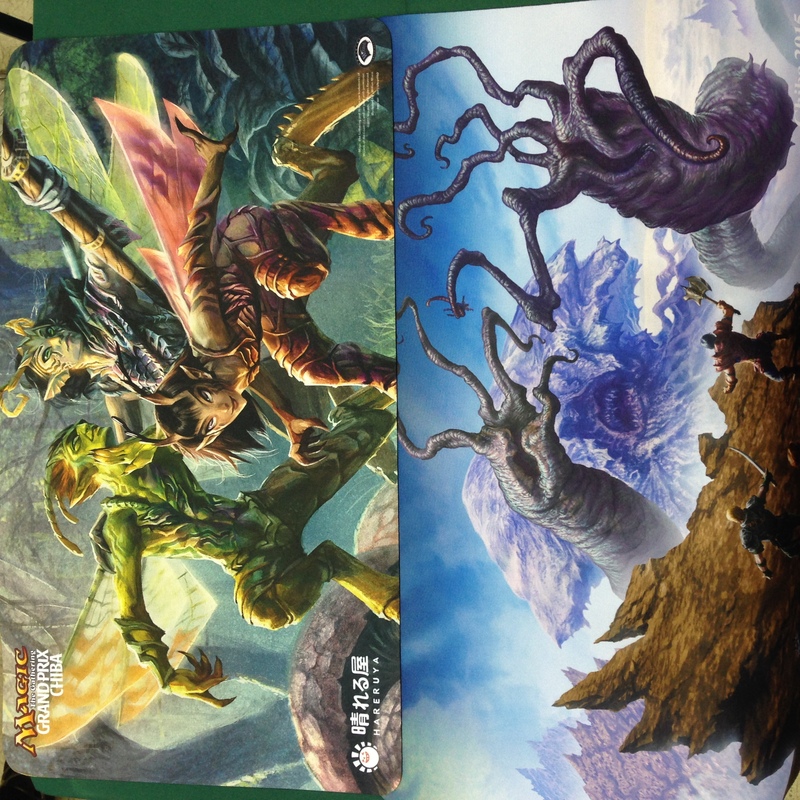 Over my two weeks in Japan I made the following observations after visting various mtg stores which showed major differences to North America. This will help any future mtg finacers who may visit there. Singles are much more desired than boxes and it was not uncommon to see a stack of singles with higher prices as the pile gets smaller indicating pre determined supply and demand pricing. 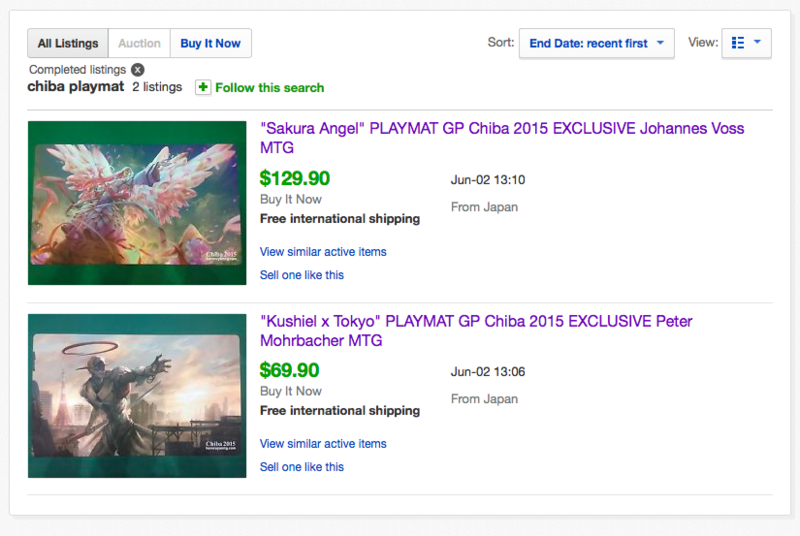 On Modern Masters 2015 release day stores had singles available for sale which suggests they are allowed to buy boxes as a store and resell singles. The store I was at in Nagoya anyone who was not lucky enough to get a box, immediately bought out the mythics and rares they needed. As you said cash is king as many stores work on cash only (even if you want power 9). I noticed at the GP only about 2 vendors promoted credit cards as payment options. In Akihabara and other areas many stores only deal in cash and not tell you until checkout. Hope these comments will help fellow mtg enthusiasts. I personally can’t wait to play a GP in Japan again and hope it will be even more enjoyable! P.S. Guo, I was able to finish my “Sashimi” merfolk which hopefully you will be able to play in the future. Agreed. Japan’s Magic scene and economy is quite unique and it is well-worth reading up about it before making a MTG-related trip there. Also one thing I forgot to mention: the Japanese vendors are very strict about their cards being ‘Marcel Mint’ and I’m impressed at the effort put in by the vendors/stores in Japan to ensure that their cards remain in the best condition possible. Even bulk $1-$2 rares in the bulk boxes are kept in penny sleeves. I would love to sample some “Sashimi” one day 😉 Did you completed it before you went back, or did you hunted down the cards in Toronto?